Elko, NV – June 20, 2017 – Lithium Corporation [OTCQB – LTUM] “(the Company”) is pleased to announce that it has begun field work on the Michael and Yeehaw prospects in British Columbia. The preliminary phase is a helicopter-borne vegetation geochemical survey that will allow us to cover a large area in a short time. This survey will better localize the source of the strong Tantalum – Niobium stream sediment geochemical anomalies that have been detected here. 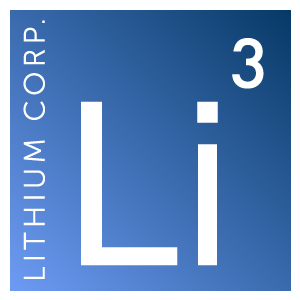 Once the results from this program are received the data generated will be assimilated into the dataset, and Lithium Corporation will then focus further geological and geochemical work in the areas of the claims determined to be most prospective.